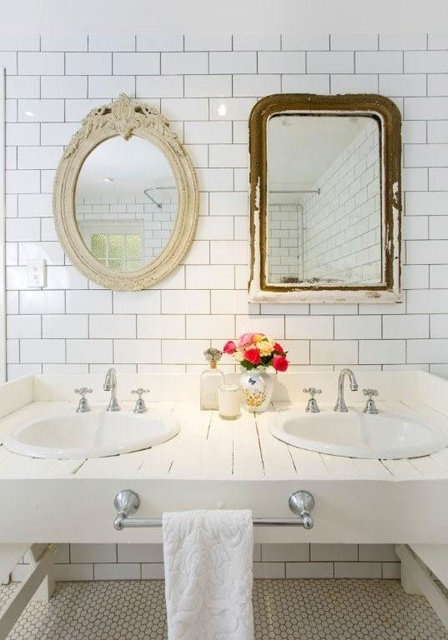 I love this his and hers vanity. These two types of tiles happen to be my favourite too. via apartment therapy.